Expand search to view more listings in and around Hillsboro. See more offices in and around Hillsboro. Offices.net has 1 Hillsboro executive office building currently available for occupation at short notice on flexible rental terms without the long-term commitments and overheads of conventional commercial real estate lease agreements. Our ideally located office suites are situated in prime Hillsboro, OR business locations and offer a wide range of services and amenities. The largest economic sector in Hillsboro is manufacturing and other significant sectors include education, healthcare, social services and retail. The city is considered to be the centre of Oregon's Silicon Forest, due to the fact that it is home to several technology companies including Intel's largest operational base, Epson, Yahoo! and FEI Company. The city has an excellent transportation network including rail, road and bus systems. 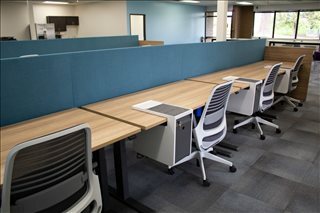 Hillsboro is a first choice when looking for a city for office relocation. Offices.net offers companies of all size the simplest, fastest and easiest way to secure professional office space in Hillsboro, Oregon. Our executive office suites and office space come with an extensive range of services included, and flexible rental contracts that are made to suit you. We endevor to ensure that the process is as simple as possible for our clients. Numerous business centers come inclusive of an outstanding array of office support services, with professional and friendly reception staff, security and onsite IT personnel, WiFi and internet services. Many of the office buildings also provide video conferencing facilities, conference rooms, and kitchens. All you need to do is choose any of the prominently located Hillsboro offices for rent listed on this page. The professional office suites, shared work space and virtual offices on Offices.net are located in prime Hillsboro business areas, and are available to rent on easy, flexible rental terms to suit your requirements. With more office space available than ever before and prices to suit every budget, companies of all types should be able to find the space they need using Offices.net. Get in touch and we will be happy to help find your perfect office space.